Save money by purchasing a Naruto vacation package. Just select your favorite options and let Expedia take care of the rest. Savvy travelers who secure a package deal on Expedia can save as much as C$590*. Search through our international database of more than 400 airline partners and 321,000 properties worldwide. Too many to pick from? Don't worry — we can help you decide! We've got all the sightseeing info you require for your upcoming trip to Naruto. Grab your travel organizer and get ready to start working on that itinerary. Adore all things art? Admire some fascinating works and try to unravel the story behind them at Otsuka Art Museum. Still got some time to spare? Nothing compares to seeing top-level art when your spirit needs lifting. As you stare at the astounding works at Naruto Galle No Mori Art Museum, see if you can find a deeper meaning. 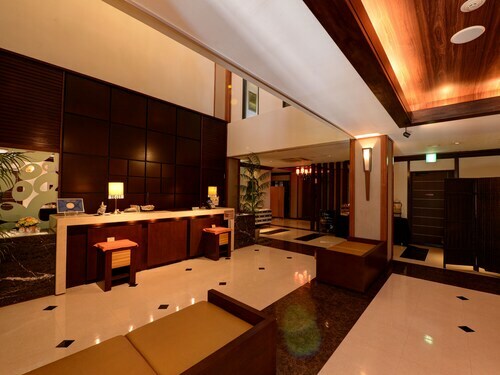 If you're thinking of traveling to Naruto, don't forget to look into the accommodations on offer. There are 6 properties in the surrounding suburbs, but not many in the center. Cheap vacations and luxury getaways — Expedia will help you out. If you're having trouble finding a place to stay, make sure you have a look at the Renaissance Naruto Resort (16-45, Aza-Ohge, Tosadomariura) and the Naruto Kaigetsu Bettei Taimaru Kaigetsu (15-33 Fukuike, Tosadomariura). Preparing for your trip to Naruto? Organized those plane tickets yet? Get ready to be welcomed by a crowd of smiling faces at Kansai International Airport (KIX). The terminal can be found 40 miles (64 km) northeast of the town center. 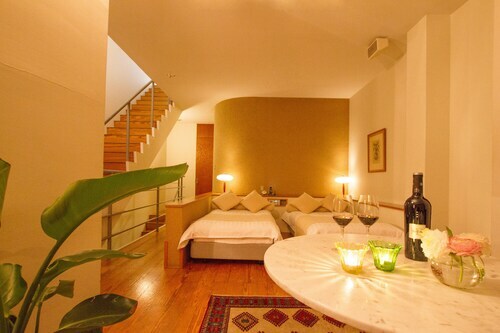 Situated in Naruto, this ryokan is within 1 mi (2 km) of Naruto Park and Otsuka Art Museum. Eska Hill and Onaruto Bridge are also within 1 mi (2 km). 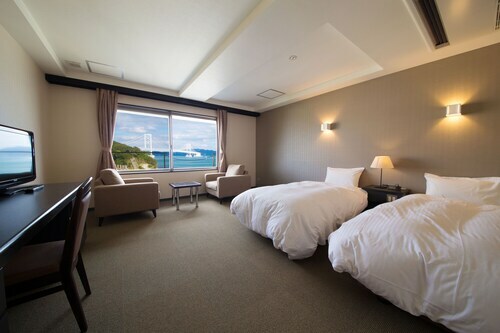 Nestled on the beach, this Naruto hotel is within 2 mi (3 km) of Otsuka Art Museum, Naruto Park, and Naruto Whirlpools. Eska Hill and Onaruto Bridge are also within 2 mi (3 km). Situated in Naruto, this ryokan is within 1 mi (2 km) of Onaruto Bridge and Otsuka Art Museum. Tokushima Prefectural Uzunomichi and Naruto Whirlpools are also within 5 minutes. Situated in Naruto, this ryokan is within 2 mi (3 km) of Otsuka Art Museum, Naruto Park, and Naruto Whirlpools. Tokushima Prefectural Uzunomichi and Naruto University of Education are also within 3 mi (5 km). 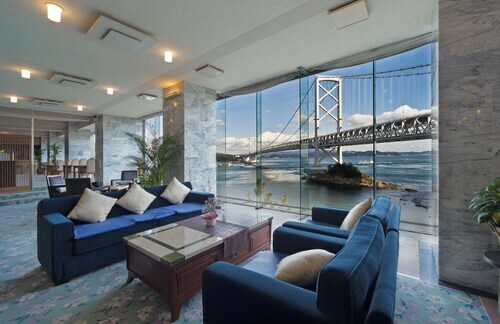 Situated near the beach, this hotel is within 3 mi (5 km) of Otsuka Art Museum, Naruto Park, and Eska Hill. Onaruto Bridge and Naruto Whirlpools are also within 3 mi (5 km). 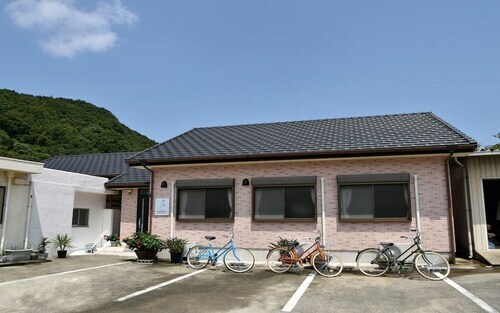 Situated in Naruto, this guesthouse is 1.2 mi (1.9 km) from Otsuka Art Museum and within 3 mi (5 km) of Naruto Park and Eska Hill. Onaruto Bridge and Naruto Whirlpools are also within 3 mi (5 km). 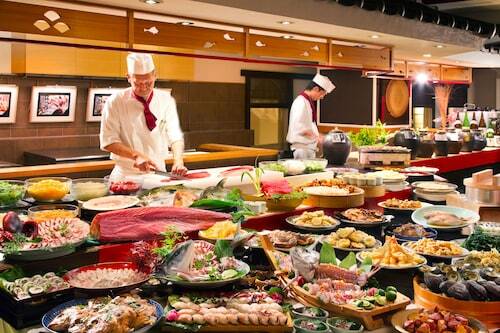 Situated in Naruto, this golf resort is within 9 mi (15 km) of Oasahiko Shrine, Naruto German House, and Reizanji Temple. Gokurakuji Temple and Shirotori Zoo are also within 9 mi (15 km). Situated in Naruto, this hotel is 2.2 mi (3.6 km) from Naruto University of Education and 2.3 mi (3.8 km) from Otsuka Art Museum. Naruto Park and Naruto Galle No Mori Art Museum are also within 3 mi (5 km). Fri., 7 Feb. - Mon., 17 Feb.